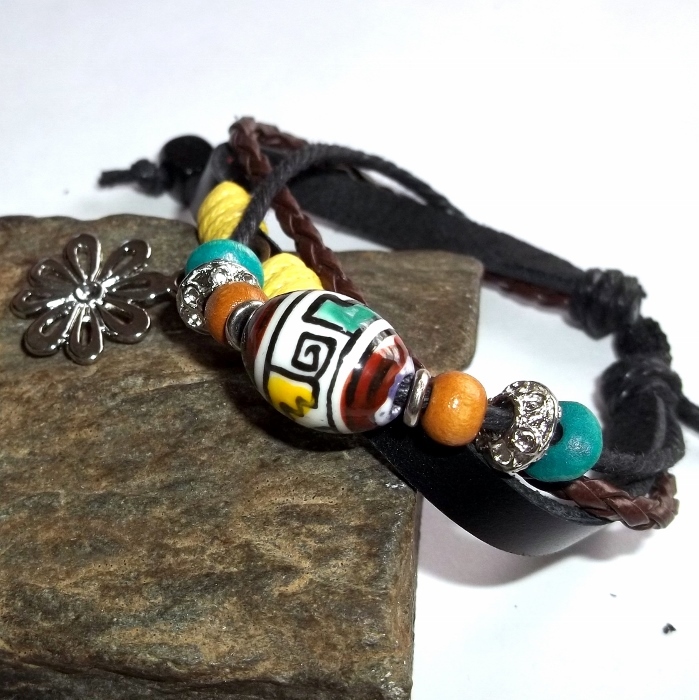 A Tibetan leather bracelet with a sliding knot cord made of leather, hemp, and assorted beads of copper, Tibetan silver, and wood. 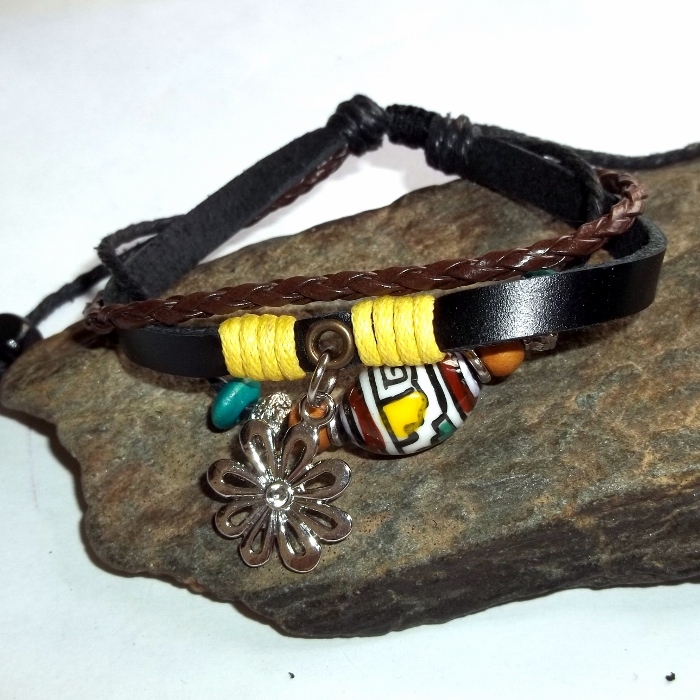 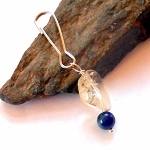 Each is adjustable with an interior diameter from about 6 1/2 inches to 11 inches, so you can wear them as a bracelet or anklet, whichever you choose. 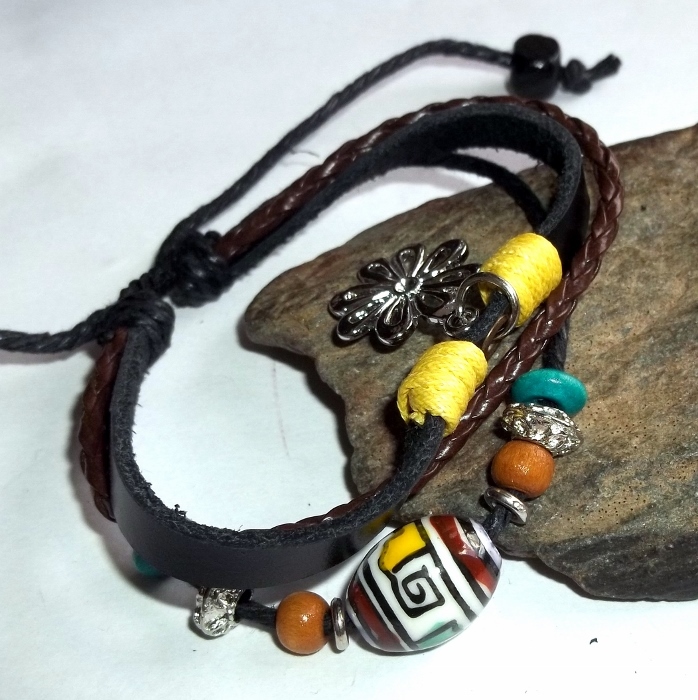 These bracelets are handmade in Nepal, unisex, and crafted with care with an edgy, surfer style.